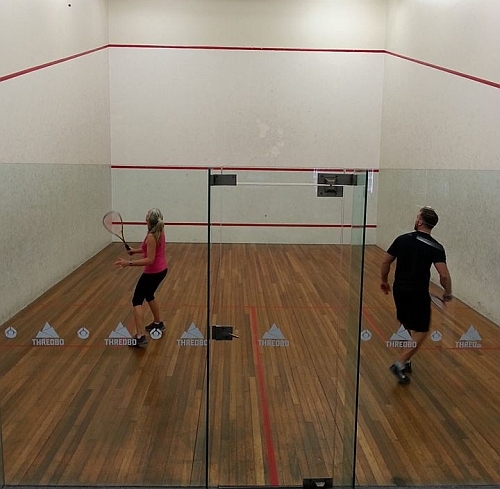 The Thredbo Leisure Centre is a world class sports training facility in the heart of Thredbo Village. With a 50 Metre heated pool, full gymnasium, squash courts, indoor sports hall, climbing wall and the Acrobatic Centre for Excellence (ACE) trampoline training installation, this is the place to get fit and hone your skills. 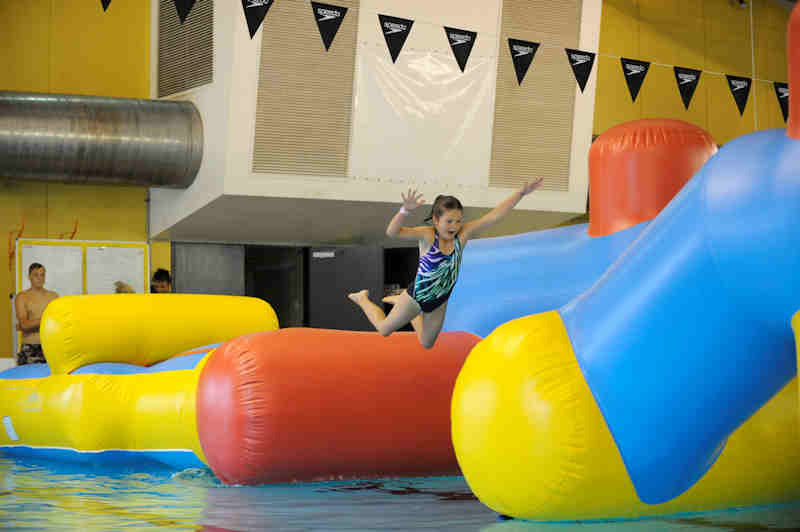 For kids the leisure centre also has a water slide and the Mission Inflatable on water obstacle course. While most people come to Thredbo for the outdoor action whether it is hiking, biking, skiing, snow boarding or fishing there are a ton of options. However the weather doesn’t always co-operate and sometimes after some hard riding it is good to have somewhere you can unwind. Thredbo’s Leisure Centre is an amazing facility for such a small village. If you want to do a few laps in the 50m pool or just relax with the kids in the water slide pool, it is perfect. If you want to take in a Yoga class or do a gym workout, the leisure centre is ready for you. It also has a lot more to offer with a traverse climbing wall, indoor basketball, soccer, table tennis and squash. 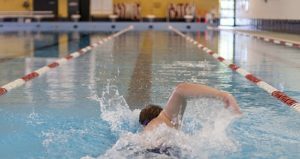 If the weather is bad and you want to burn off some steam the Thredbo Leisure Centre is the place to go. The centre also offers elite athlete training facilities for groups who want to spend a week in the high country doing some altitude training. They also have the ACE Acrobatics Centre for Excellence with high tech, trampolines and safety harnesses to allow training for groups in acrobatics. Entry to Leisure Centre is also included as one of the extras in most of Thredbo’s multi day activity passes and all multi day snow season passes. 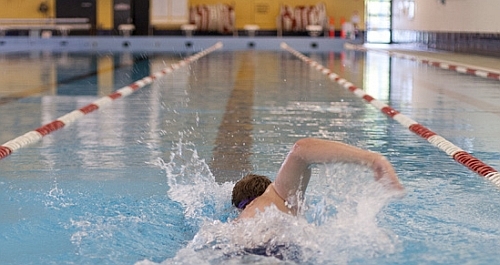 For pricing and the Activity program at the Leisure Centre click here.